The SMART-1 spacecraft spans 14 metres with its solar panels extended, but otherwise everything for propulsion, communications, housekeeping and instrumentation fits into a cube just 1 metre across. Propulsion by an ion engine is not the only innovative technology on SMART-1. Its solar panels use an advanced type of gallium-arsenide solar cells in preference to the traditional silicon cells. And it is testing new communications and navigational techniques. Out of a total mass at launch of 370 kilograms, the payload available for a dozen technological and scientific investigations is 19 kilograms. Like other components of the spacecraft, the scientific instruments use state-of-the-art concepts and methods of miniaturization to save space and economise on mass. For example the X-ray telescope D-CIXS makes a cube just 15 centimetres wide and weighs less than 5 kilograms. 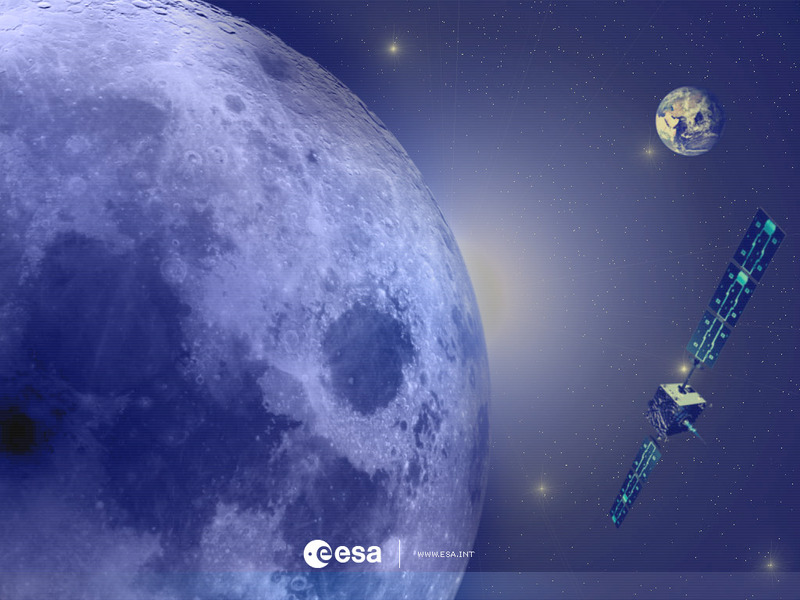 Purpose Flight testing electric propulsion and other deep-space technologies, while performing scientific observations of the Moon. Spacecraft One cubic metre, 370 kilograms. Solar panels span 14 metres when deployed and provide 1.9 kWatts of power. Launch August 2003 from Kourou, French Guiana on a shared Ariane-5 ride to geostationary-transfer orbit (GTO). Orbit 16-month transfer orbit from GTO to lunar orbit insertion, then polar elliptical operational orbit, ranging from 300 to 10 000 kilometres in altitude above the Moon. Ground stations ESA network stations around the world, operating 8 hours twice a week.